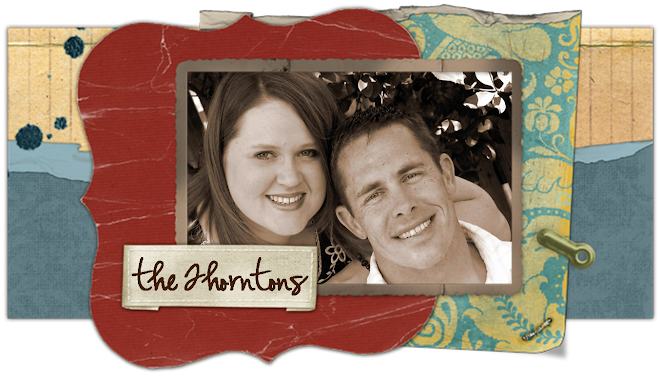 the thorntons: Bah Humbug, Mr. Grinch! I made the mistake of sending out one of those getting-to-know-you questionnaires via email last week, but this one was different...It was about Christmas, which was FUN! I also made the mistake of saying that Ryan would be the least likely to reply, so he proved me wrong in a BIG way. Enjoy this post from my husband, Ryan (aka: the Grinch). His answers are far more hilarious than anything I'd ever write. And although highly exaggerated, they are unfortunately mostly true. 1. Wrapping paper or gift bags? Wrapping paper, of course! I love all the trash all over the living room from newly opened presents, the dogs love to play in it, and I never grow out of the fun of ripping into a new present. I haven't yet understood the point of politely separating the tape from the paper paying careful detail not to let the tape remove the part of the design of the wrapping paper, then folding the paper back up nicely and offering it back to the gift giver. What is that??? Like I'm going to buy the exact same size present next year. As the gift giver I guess I'll just say, "Fine, give me the present back so I'll give it to you again next year." We grow up arguing with our family members all our life, and all of a sudden you want to show a nice gesture by giving me your trash back. It's yours. It's part of the gift. Have fun shredding it, and when you are done, throw it away yourself. What I also love about wrapping paper is how Sarah always wants to rewrap all the presents I wrap bacause they are ugly. I give it my best, but arts and crafts were never my thing. It is funny watching her squirm as the looks at the present I just wrapped and placed under the tree. So yes, wapping paper is better than the over-priced bags where no one cares if the tissue paper matches the color of the bag, and for whatever reason, causes an extra 10 minutes of indecisive shopping at an over crowded Walmart. 2. Real tree or Artificial? Artificial tree is a money and time saver. You can use it many years and it is pre-lit (possibly the greatest gift to financially broke, Christmas decorating husbands). Sure, a real tree might smell good at first, but after a week or two, your house smells like rotten lumber and old sap. If you truly enjoy the new tree smell, your wife is probably going to buy all the Christmas themed potpourri in the store anyway, so you are going to get it regardless. 3. When do you put up the tree? Whenever Sarah and I can do it together because I have made two wonderful career choices in a row that give us the emotional rollercoaster of never knowing if I will be around for the holidays. By the wonderful grace of God I have never missed a Christmas and only missed one Thanksgiving. 4. When do you take the tree down? New Year's Day, and thank you for reminding me. Can't wait to redecorate the entire house while being hungover. 5. Do you like eggnog? Love Jim Jones eggnog. 6. Favorite gift received as a child? Pool table when I was in high school. 7. Hardest person to buy for? Every woman in my family. Sarah usually does all the buying unless I am in town and we go shopping together. When that happens, I usually throw a monkey wrench in the process by speaking. I am amazed how wrong I always am, and I am reminded how I can never pick a shirt for someone that looks good or matches anything. Christmas shopping is always a self esteem booster. 8. Easiest person to buy for? Sarah...when I have a detailed list. 9. Do you have a nativity scene? Yes. I think we have one for each religion known to man. 10. Mail or email Christmas cards? Sarah mails them. This is after Sarah plays dress-up with me and we spend the whole afternoon trying to take the perfect picture with two dogs that have not behaved all year and for some amazing reason won't at the time of the picture. From June until the time of the Christmas card picture is very stressful because the foremost thought in "our" minds is deciding what is the perfect setting for our Christmas card picture. There have been tears involved, things thrown, and yelling at dogs in the past. But when you get our card, know that we wear clothes like that all the time, it was "taken in the moment", and we are really that happy in the picture. 11. Worst Christmas gift you ever received? Grandmother gifts are always great. One year I received pastel striped socks that had individual sleeves for my toes. That was special. 12. Favorite Christmas Movie? Christmas Vacation. It speaks so many truths. 13. When do you start shopping for Christmas? When Sarah tells me to. 15. Favorite thing to eat at Christmas? Sweet potatoes with lots of goo, too many pies, and some sort of unidentifiable salad or casserole as to not offend anyone. 16. Lights on the tree? Yes, what kind person wouldn't do that? 17. Favorite Christmas song? "All I Want for Christmas is a Hippopotamus"
18. Travel at Christmas or stay at home? Used to travel and enjoy the fun of trying to see every family member across Texas in a two week whirlwind right before being deployed to a far off forsaken area of our peace loving world. Now that we are back in Texas, traveling is nothing. I'll never take having family close for granted. 19. Can you name all of Santa's reindeer? Dasher, Dancer, Comit, Cupid, Vixin, Blazer, Lazer, Taser, and Rudolph. 20. Angel on the tree top or a star? Star, and I love spending the 5 minutes it takes trying to get the thing to balance just right followed by analyzing it the rest of the evening to make sure it's perfect, then straightening it at least once a day during the holiday season because it somehow manages to move over a 24 hour period. 21. Open the presents Christmas Eve or morning? Christmas day. Christmas Eve is spent staying up as late as possible staring at all the decorations enjoying the moment of the best night of the year while also realizing that taking all of them down is approaching by the hour. Take the good with the bad. 22. Most annoying thing about this time of the year? Getting out the Christmas decorations and realizing that you have somehow accumulated enough decorations to decorate the Dallas Galleria. Then the thought hits you that you will manage to replace all the knicknacks in your house and put your regular ones away and in about a month and a half, you will do it all again. It's like moving twice. Then you get to put up the outside lights in the cold drizzily weather while trying to remember how you strategically plugged in all the lights to certain sockets as to not blow fuzes. You know this because last year you blew about 17 fuzes trying to get them to work, and each time you drive up to Home Depot you give serious thought to buying stock in 3 amp fuzes and selling after the holiday season. 23. Favorite thing? Finishing all the decorating. 24. What theme or color are you using? Are you kidding??? I would assume red and green. 24. Favorite for Christmas dinner? Turkey and dressing. Don't forget the sweet potatoes with the goo. 25. What do you want for Christmas this year? A reliable short-term memory (it doesn't have to be perfect, but some consistency would be nice), the Dallas Cowboys to start having fun again and to get a new owner, a new job, and to sell all the Christmas decorations that we have that are "out of style" and make a profit on them. 26. Who is most likely to respond to this? Anyone who needs to vent. 27. Who is least likely to respond to this? Most males. As you can probably tell, we've had Christmas decorating on the brain because we'll be gone the weekend after Thanksgiving, which is our usual time to decorate. You'll also be happy to know that we did manage to get it done without killing each other. Hope everyone has a Happy Thanksgiving and an even Happier Christmas Decorating!! Ryan's responses sound frighteningly like what I imagine Matt's sounding like! we are decorating tonight! so perfect that i took this little break! tell Ryan that's Jeremy's favorite Christmas song also! :) Happy Thanksgiving! SOOO CUTE! I loved hearing his perspective! Cracked me up! :) Don't we have sweet husbands that do all of that "in the attic/out of the attic" business!" LOVE YOU! awww...i can hear him saying all of that!!! Thanks for the laugh ryan!! what a wonderful guy you have there!!! I love it when our men "surprise" us and step into our "lands".... aka Sarahland. Thanks for the look into your "territory"... and I agree... how in the world do we ever get so many "decorations"? Wait till you've been married 33 years! I am crying right now b/c I laughed so hard! Thanks for that. girl, that cracked me up! just what i needed! i am in such a bah humbug mood. and needed that laugh. boy do i miss you and ryan so much! i would do anything to be able to say come over for dinner, and you all show up at the door in 10 mins! those were the days! That is hilarious! I think Jeff's responses would sound similar. Every year Jeff tries to negotiate with me to get out of decorating! So funny. Oh my gosh! Ryan writes just like he talkes! I'm trying to keep Justin from reading this, but I probably won't be able to. Thanks for the pre-Christmas shopping laugh. Sarah, did you notice how many times he said that he does stuff only when you tell him to? Scary!